RS victory shows BJP better at transactional ties than Congress. Modi-Shah had no qualms dialing Patnaik or Thackeray but Rahul refused to budge on Kejriwal. New Delhi: Victory for NDA candidate Harivansh Narayan Singh in the Rajya Sabha Deputy Chairman’s election Thursday reinforced two points: Anti-BJPism is not a good enough adhesive for opposition unity, and local interests and survival instincts override any national agenda of regional parties. This election also proved again that the transactional relationships that the BJP practices are more effective in dealing with regional parties than the putative ideological affinity that the Congress relies on. The BJP may be challenging the Biju Janata Dal’s supremacy in Odisha, but Prime Minister Narendra Modi and BJP president Amit Shah had no hesitation in calling up chief minister Naveen Patnaik to solicit his support for their candidate. The BJP is cut up about ally Shiv Sena’s consistent public criticism, but Shah put that aside to ring up Uddhav Thackeray for support. Also read: BJP’s Mission 2024: Prime Minister Amit Shah? In the end, JD(U) MP Harivansh got 125 votes in the 244-member House, as predicted by ThePrint early Thursday, on the basis of the BJP leaders’ negotiations with other parties. The Congress was expecting 114 votes for its candidate, B.K. Hariprasad, but ended up with only 105. The BJP would have preferred to have its own candidate as Deputy Chairman, but chose to go with Harivansh to mollify Bihar chief minister Nitish Kumar, and to also send out a signal to its allies that it was ready to be accomodative. The Congress, though on the back foot, was not ready to stoop to conquer. 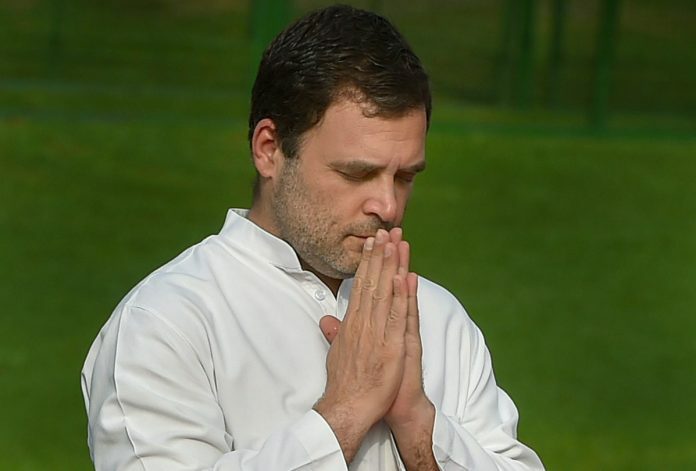 The Aam Aadmi Party wanted Congress president Rahul Gandhi to talk to Delhi chief minister Arvind Kejriwal to solicit his support, but Gandhi wouldn’t. The election also exposed the fallacy that the Congress could return to power on the plank of anti-BJPism. Telangana chief minister K. Chandrasekhar Rao might have met West Bengal chief minister Mamata Banerjee to extend support for a ‘federal front’ to defeat the BJP in the 2019 general elections, but chose to vote for the NDA candidate Thursday. KCR’s flip-flop should be a good reason for Gandhi to do a reality check on the leaders and parties he is relying on to form a non-BJP government in 2019. Many of the parties standing with Gandhi and spouting anti-BJPism today have broken bread with it in the past — the Trinamool Congress, the TDP, the DMK, and the BSP, to name a few. There is no guarantee that they would be averse to it in future, too, if an opportunity presents itself. For some regional parties, anti-BJPism is a compulsion, as it has emerged as their principal challenger. But for a few, the Congress or its remnants remain a threat. And for some others, anti-Congressism is their principal political tenet. That explains why a KCR, a Kejriwal or a Patnaik would always have an uneasy equation with the Gandhis. Having said that, Thursday’s election results don’t perforce become a blueprint for political realignments in 2019 if the mandate is not clear. Between the Congress and the BJP, the regional parties are likely to align with which one has more to offer and which one is a lesser threat on their own turfs.That may not be an easy call to make. At the very least, Shri Rahul Gandhi should not be planning any foreign breaks between now and the counting of Lok Sabha election votes.